Travis Franck of the Agriculture team will be representing Climate Interactive at the 36th International Conference of the System Dynamics Society in Reykjavik, Iceland from August 6-10. Come talk to him about any of our programs: agriculture, multisolving, climate, or energy. Travis will be presenting a paper written with our partners at Mohammed VI Polytechnic University in the Climate Change Impact session (Thursday at 11:30). The paper, Developing an Agricultural Land and Policy Simulator to Promote Climate-Smart Policy, reports on our work with the latest version of the Agriculture and Land Policy Simulator. The Agriculture and Land Policy Simulator (ALPS) is a model of a national agriculture system designed to support stakeholders and policymakers in making climate-smart decisions and developing strategic plans in the agriculture sector. This latest version adds rainfall and irrigation infrastructure to the model. ALPS also includes land-use changes, factors affecting crop yield, carbon in soil and biomass, livestock, trade, emissions, and more. The version we will show is calibrated to Morocco, using a variety of Moroccan and international data. ALPS is designed to support stakeholders and policy makers in making climate-smart decisions and develop strategic plans in the agriculture sector. 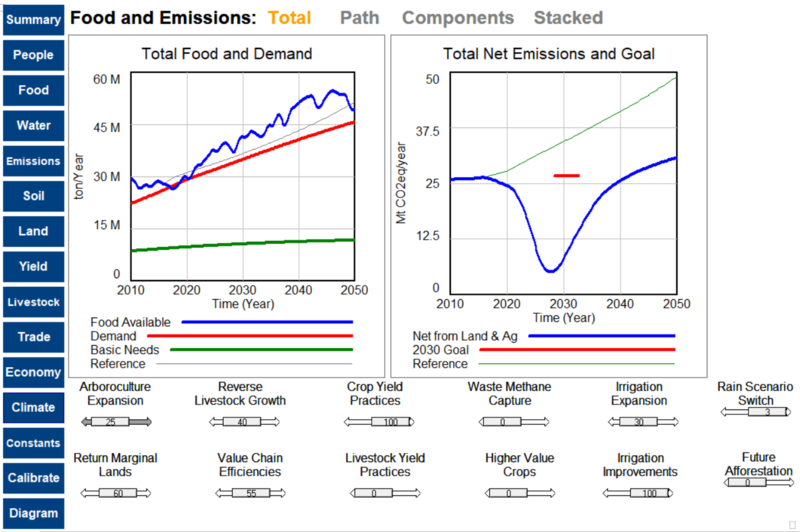 Users can select from projections and policy interventions to explore a variety of issues. Policies were developed from analysis of national strategic documents, such as the Morocco Green Plan and Ethiopia’s Climate Resilient Green Economy Plan, along with other proposals. Our presentation will show examples of how conditions and choices interact. Our partner Rebecca Niles will also be at the conference, running a workshop presenting our new ALPS-based game, Agritopia. 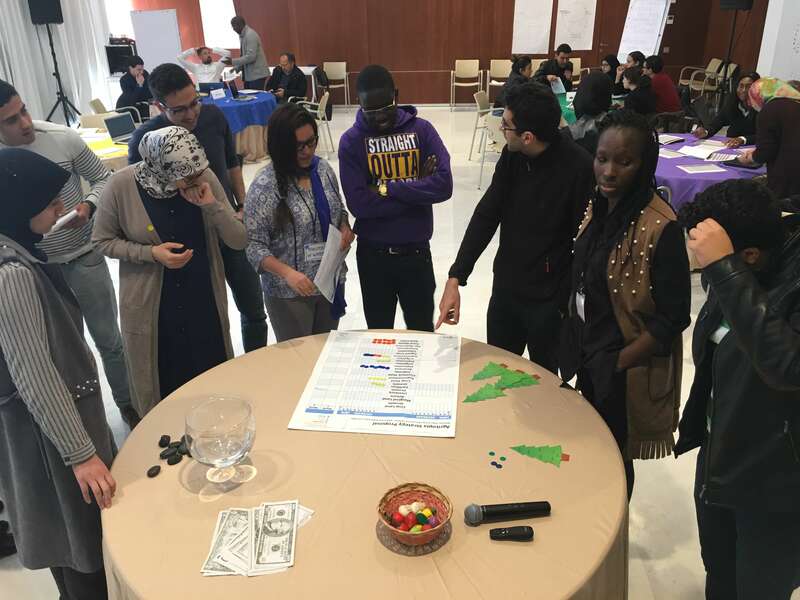 In Agritopia, participants represent Ministers and other agriculture stakeholders of a fictional country in Africa, trying to negotiate an agricultural strategy for the next few decades. They have to balance food security with goals for the economy, forest preservation, water availability, and climate change. In the workshop, you will play the game and then learn how to run it yourself. To learn more about CI’s Agriculture Program, or to help us envision the future of food security in Africa, contact Travis Franck.